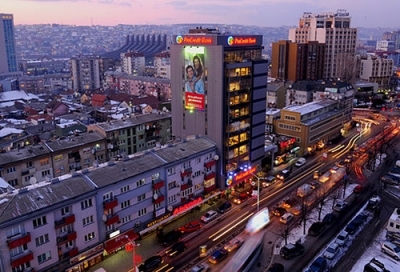 THE European Bank for Reconstruction and Development (EBRD) said today announced it is providing a loan of up to €5 million to TEB Bank, in Kosovo, for financing residential energy efficiency projects. “The loan will be on-lent to individuals, housing associations, producers and vendors of green technologies to support investment in energy efficiency technologies in residential buildings,” the EBRD stated. The loan will be extended under the Green Economy Financing Facility (GEFF) for the Western Balkans, a regional facility aiming to reduce energy intensity and improve energy efficiency. GEFF is supported by grant funding from the European Western Balkans Joint Fund under the Western Balkans Investment Framework, the European Union (EU) and Austria. "An increase of 10% in the market penetration rates of green technologies and materials is expected in the Western Balkans region," the statement reads. The EBRD said it has had a relationship with TEB since 2013. In addition, an associated grant of €1 million euro from the EU will finance investment incentives to sub-borrowers in Kosovo, the statement added. Source: EBRD. Photo: Pristina by Arbenllapashtica - Own work, reproduced under CC BY-SA 3.0.